With a polytunnel, there are vegetables to plant all year round – even at Midsummer. 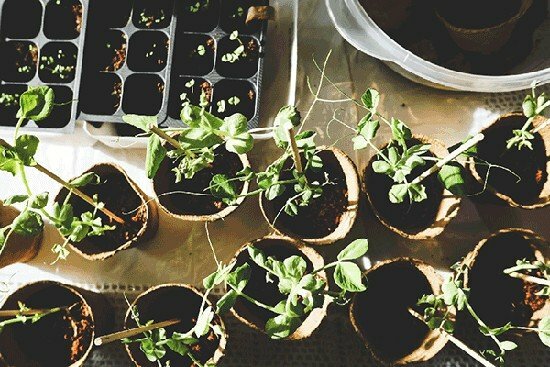 When it comes to planning for year-round growing and eating, it is important to think ahead. Sow now and you can be enjoying fresh produce all through the winter and right through to the ‘hungry gap’ period next spring. While there is plenty to harvest this month, it is important not to forget to take some time to sow as well as to pick this Midsummer. Want to know more about what to do in June? Check out our green jobs for this month. Continue to succession sow swift growing salad crops that you have sown throughout the spring and early summer and sow longer-growing crops to see you through the more difficult seasons to come. It may also be time to clear out winter and spring crops to make way for some of the warm weather crops that have not yet been placed into your polytunnel. If you have not already done so, clear out the last of your broad beans and other crops that are ready to harvest and transplant pot-grown summer vegetables and fruits such as squash, sweetcorn and more tender beans. Open doors early in the morning. You might also consider opening side ventilation if it is installed on your polytunnel. Make sure things don’t get too overcrowded. Ensure your plants have space to breathe and don’t let moulds or disease take hold. Water every day but don’t let things get too humid. Water at roots, where it is needed. Try not to water foliage from above. Water early in the morning for the best results. Keep on top of weeds and mulch well to keep down weeds and to preserve moisture. Keep an eye on seedlings and protect them from pests with barrier protection and companion planting. Knowing which vegetables to plant in a polytunnel at Midsummer can sometimes be a delicate balancing act, but get it right and the abundance in your polytunnel that you see at this time of year can continue for many months to come.